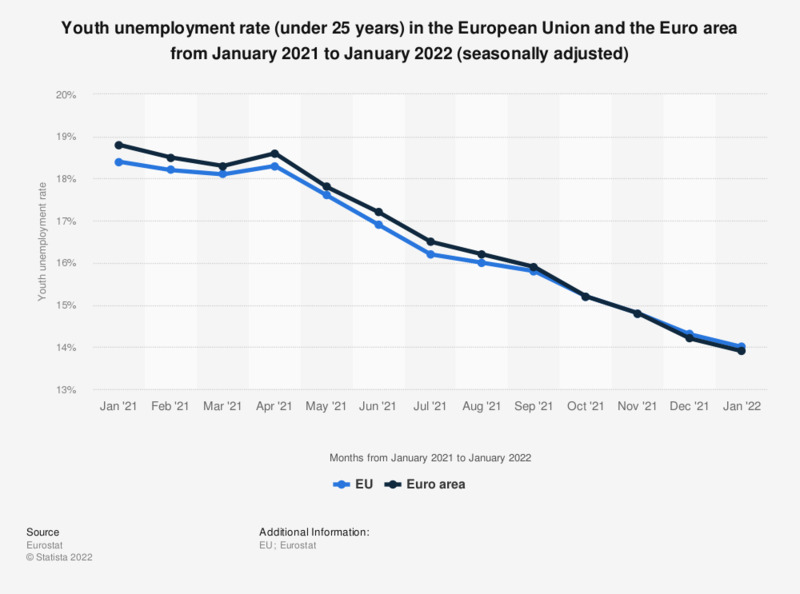 The statistic shows the seasonally adjusted youth unemployment rate (under 25 years) in the European Union and the Euro area from January 2018 to January 2019. In January 2019, the seasonally adjusted youth unemployment rate in the EU was at 14.9 percent. Data earlier than August 2013 was taken from previous Eurostat publications.